That’s how Cramer & Anderson partner D. Randall DiBella recalls a case that concluded successfully in February 2016 with a $1 million settlement to the Estate of Dwight Hipp, 57, an avid cyclist who died as the result of a cycling accident on Route 109 on the morning of Aug. 23, 2014. Mr. Hipp was riding his bicycle east on Route 109 toward Washington, and coming down a hill near the Kimberly Farm when a pick-up truck driven by John Kimberly made a left hand turn directly into Mr. Hipp’s path. He struck the passenger door of the truck and suffered massive internal injuries in the collision. Attorney DiBella was retained to pursue a wrongful death claim, and while the matter might have appeared clear-cut, there were complications along the way to a successful conclusion to the case. Mr. Kimberly, a member of a prominent local family and the grandson of the founder of Kimberly Farm, was charged with negligent homicide, and said he never saw Mr. Hipp approaching on his bike. “The concern you have in all cases when you have no witnesses is whether your decedent was doing something he shouldn’t have been,” Attorney DiBella said in outlining the primary challenge he needed to address and overcome. In this particular case, the police investigation—whose results were not released for a nearly a year after the accident—raised issues that created the potential for John Kimberly’s insurer to argue Mr. Hipp had contributory negligence for the accident. “There were a number of things we had to get over,” said Attorney DiBella. The investigating police officer speculated in the affidavit of arrest that Mr. Hipp, traveling down a 7 percent grade, may have been speeding on a stretch of road with a speed limit of 30 mph. “The police officer also speculated that the bicycle tires were bald,” Attorney DiBella said, referring to another issue of concern cited in a news story on the affidavit’s release. “We do our own testing and experimentation in order to obtain definitive answers and maintain control of the litigation,” Attorney DiBella said, meaning that Cramer & Anderson had already addressed the potential problems. Attorney DiBella and his team, which included Attorneys John D. Tower and Abigail Miranda, engaged an accident reconstruction engineer, Dan O’Neill of Vliet & O’Neil, and conducted field tests with a professional bicyclist and videographer. The testing conclusively showed that Mr. Hipp was not speeding. As for the condition of the tires, Attorney DiBella documented that what might have looked worn to a police officer was simply the normal appearance of the proper tires for the type of bicycle Mr. Hipp was riding. “This wasn’t a mountain bike,” the attorney said. Mr. Hipp’s injuries were so severe that the insurer might have argued he didn’t experience conscious suffering, or have any awareness of impending doom. The Cramer & Anderson attorneys used Connecticut’s Freedom of Information Act to obtain the 911 call, which was made by Mr. Kimberly. “He admitted he didn’t see him, and that he was still breathing and looking around to get some help,” said Attorney DiBella, adding that another member of the Kimberly family was at the scene and attempted to administer first aid. Still, there was more work to be done to obtain the right result. The criminal defense attorney was seeking a reduction in the negligent homicide charge, and Mr. Hipp’s family—he had never married—shared with Attorney DiBella their feeling that the death resulted not from a criminal act but from a tragic accident. As a result, Cramer & Anderson was able to negotiate a resolution that satisfied both parties, with Mr. Kimberly accepting responsibility for the crash. The charge was reduced to failure to grant right of way. “That’s in the nature of a traffic violation. It’s actually an infraction, which was very helpful to Mr. Kimberly,” Attorney DiBella said. Mr. Kimberly pleaded guilty to the charge. While a no contest plea wouldn’t have been admissible in the wrongful death claim, Mr. Kimberly’s admission of guilt was the last piece necessary in preventing the insurer from attempting any claim that Mr. Hipp had contributory guilt. Attorney DiBella had hired economist Dr. Gary Crakes to perform an economic analysis calculating what Mr. Hipp’s earnings would have been over the remainder of his life, and the case was settled for defendant’s liability insurance limits of $1 million shortly after the guilty plea. “This horrible situation came to an end that was as acceptable as it possibly could be under the circumstances, said Attorney DiBella. Attorney DiBella’s areas of expertise include personal injury law, civil litigation, municipal law, land use and environmental law, and appellate litigation. He is based in Cramer & Anderson’s New Milford office, located at 51 Main St., and may be reached at (860) 355-2631. 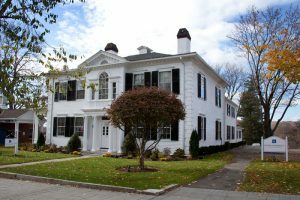 The firm has five offices in northwestern Connecticut, including Danbury, Litchfield, Kent and Washington Depot. To learn more see the Cramer & Anderson website at crameranderson.com.